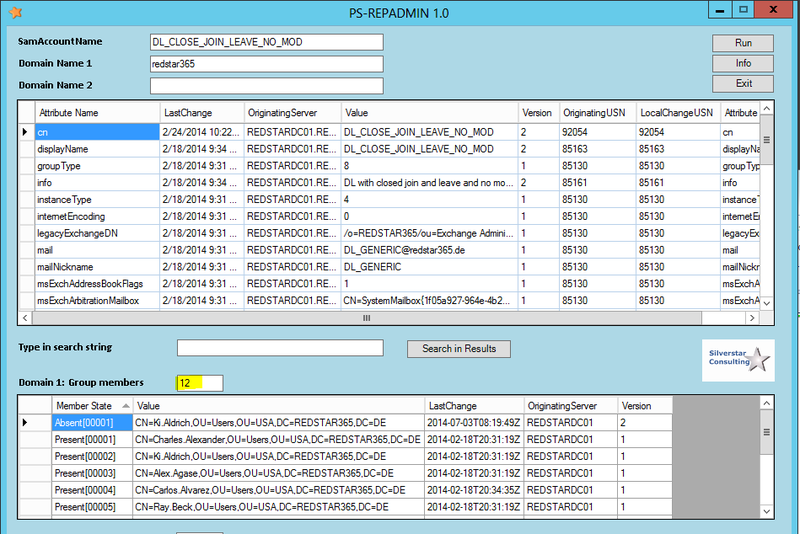 Dell published the version 8.10 of the migration software Quest Migration Manager for Active Directory. The new release 8.10 will allow using Windows 2012 domains and domain controllers in Inter-Forest migration projects as migration target infrastructure. However, there is one limitation to mention at this point: Windows 2012’s breaking feature Dynamic Access Control (DAC) is not supported when trying to migrate from a non DAC to DAC permission model or from DAC to DAC. One of the most useful features of QMM Active Directory synchronization is the ability to synchronize the password of user objects between Active Directory Domains. While Microsoft’s Forefront Identity Manager (FIM) first needs to capture the user password on the Domain Controller when the user actual changes the password, QMM can transport the password hash directly at any time. While FIM needs to install an agent on every Domain Controller to capture the password changes, QMM places an agent “on the fly” on only one dedicated Domain Controller. This can make a big difference in large Active Directory infrastructures. The error is a bit misleading here. QMM is purely transporting the password hash and therefore cannot measure the length of the user password nor can QMM prove the complexity. That means, we have to deal with a password history problem. Assuming we have the same password policies in source domain and target domain and an ongoing password synchronization, this error may never come up, because the password history policy of the source domain would prevent the user to change the password to a value that is still in the password history store. After the administrative reset of the password in source domain, QMM directory synchronization agent (DSA) recognizes a change of the password of the user object and tries to replicate the password hash to the target domain user object. But the DSA has to go “through” the password policy check like a standard user password change which finally results in the password error message above. 05/07/13 08:32:45 (GMT+01:00) Common AcAdSwitches Error 0xe100004f. Cannot synchronize passwords, source user: “<user name>”, target user: “<user name>” Error 0x8007052d. Unable to update the password. The value provided for the new password does not meet the length, complexity, or history requirements of the domain. In part 2 of this post, we will show ways to work around the password sync error.